It is always nice to review brand new media boxes but it is even better when they pack top notch hardware. 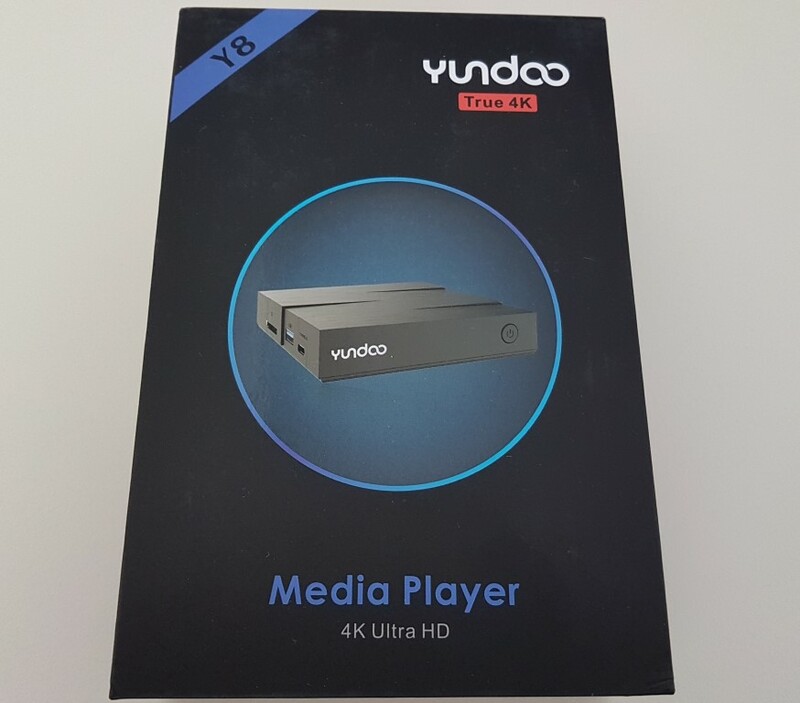 Yundoo Y8 is a brand new release with very impressive specification list including 4GB of RAM and the Rockchip’s latest SoC RK3399. 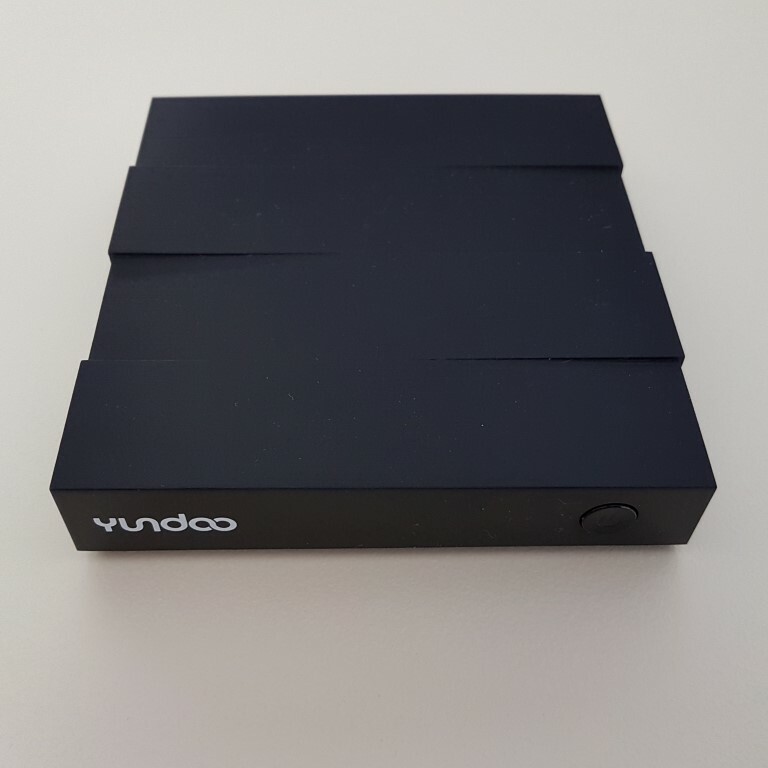 Yundoo Y8 arrived in a (surprise!) 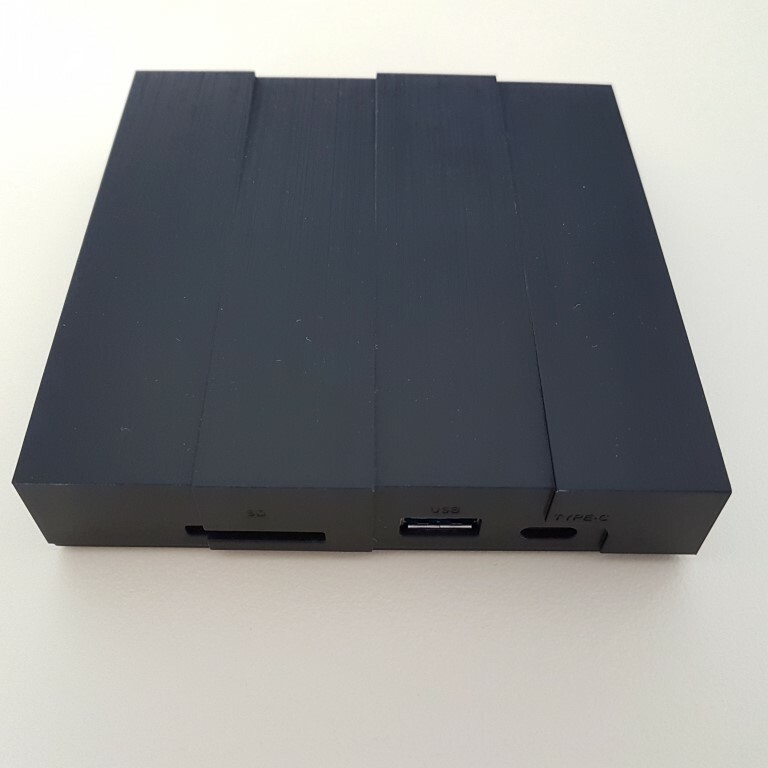 small black carton box. Inside you will find the media box, and HDMI cable, the remote (no batteries inside) and quick start manual. 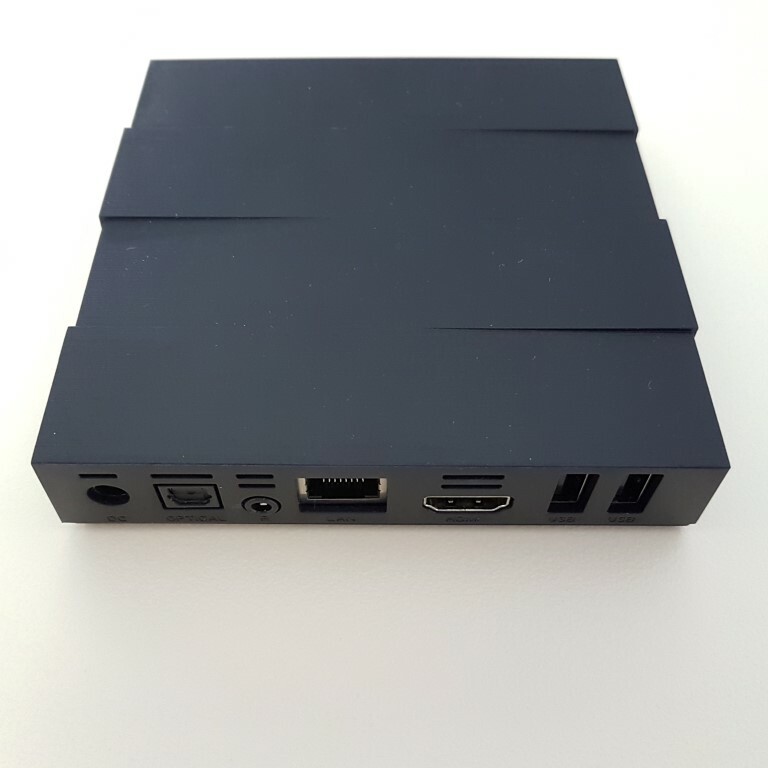 Specifications are very impressive and dictate the next generation of media boxes. Y8 sports the brand new RK3399 SoC from Rockchip, a hexa-core processor with 2 x ARM Cortex A72 cores (up to 2.0GHz) and 4 x ARM Cortex A53 cores (up to 1.44GHz). The new Mali-T860 GPU offers upgraded performance compared to previous generations and the 4GB of DDR3 RAM promise great multi-tasking performance unmatched so far by any other existing media box. 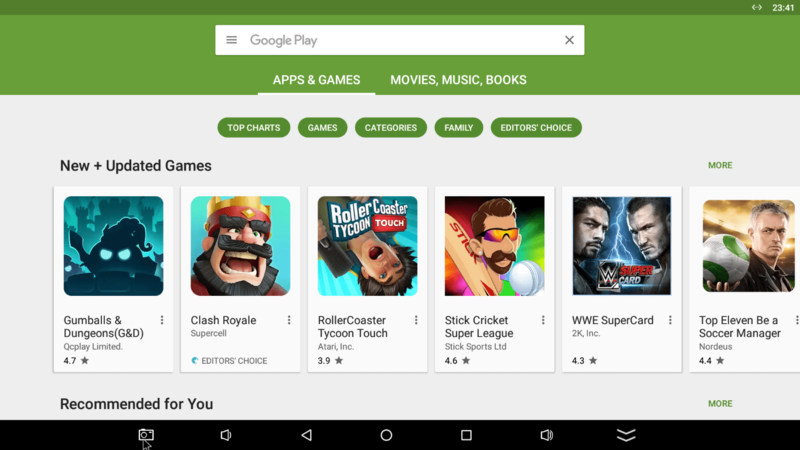 Furthermore, 32GB of ROM will make sure that you will be able to install a large number of applications and games before the storage runs out of free space. Connectivity is also amazing with 2x USB 2.0 ports, 1x USB 3.0 port, 1x USB type C (video and data support), 1x HDMI 2.0a, 1x S/PDIF and an SD card slot. Y8 has a modern design that looks like it consists of four separate pieces stuck together in a non-perfect manner. It is not something extravagant and can be placed anywhere without drawing attention. Its dark color also assists towards that direction. It is made of plastic and although the quality is good, for the price range (`$140) and the grade A specs, an aluminum chassis would be a better match. All connections are found on the back and left side. On the left you will find the USB 3.0 and USB C ports alongside the SD card slot and at the back 2x USB 2.0 ports, 1x HDMI 2.0, LAN, S/PDIF and power port. The remote is nice. It has a nice grip, and the rubberized keys have a nice feel. You will also find a set of handy numeric keys. 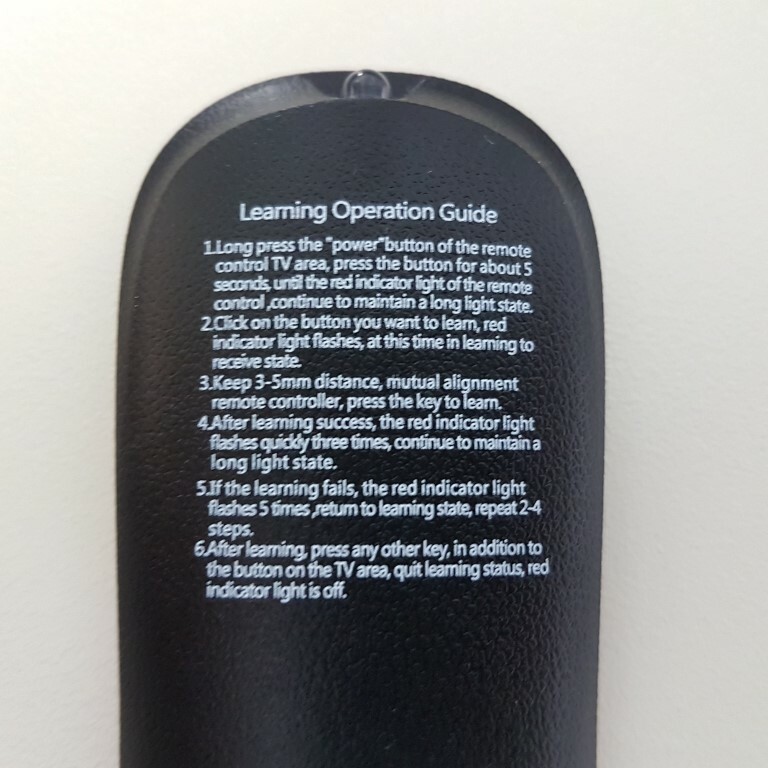 There is also a learning mode (described at the back of the remote) for the five keys at the top. 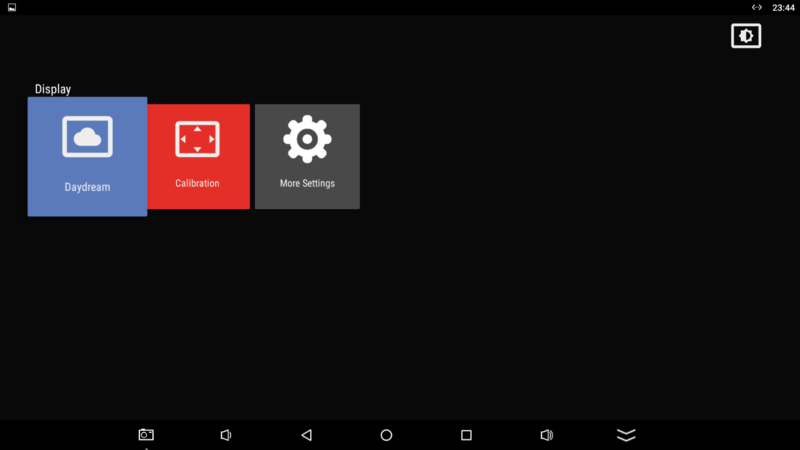 Yundoo definitely made an effort to make the GUI look different. 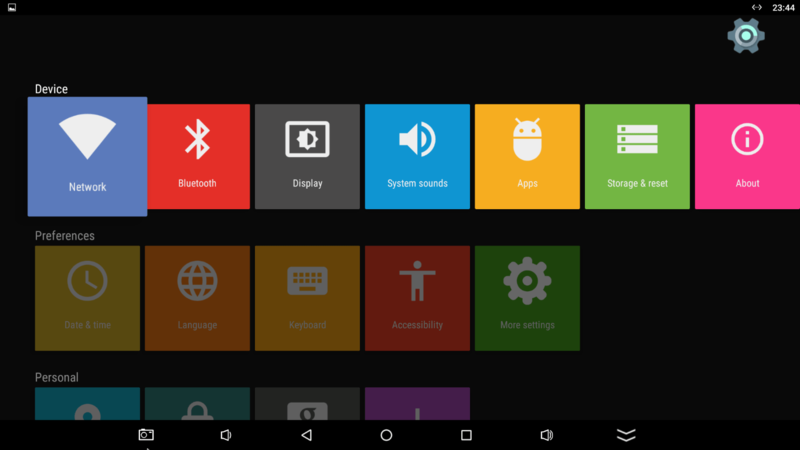 It has five main screens (Home, Recommended, Online, Local, Settings) with big colorful icons for each application. 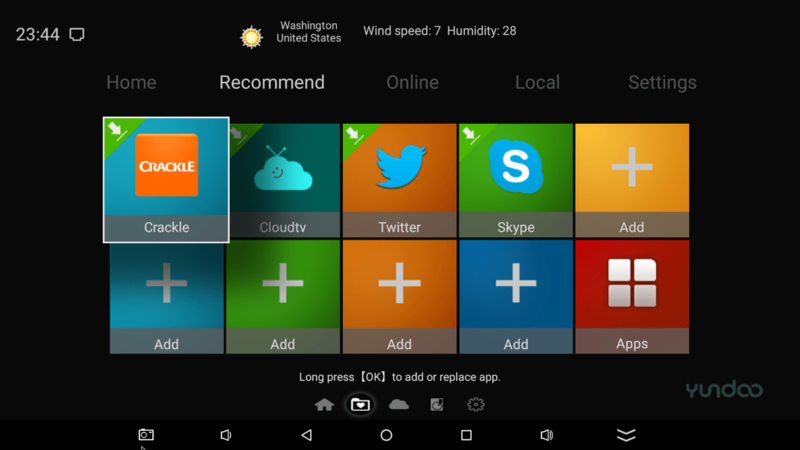 The user can add shortcuts for his favorite applications as well for each screen. Default theme is dark colored and there are options for three more. Settings menu is the classic one we usually find in all recent media boxes but with colored icons instead of the gray ones. Oddly enough, we could not find resolution or digital out options. 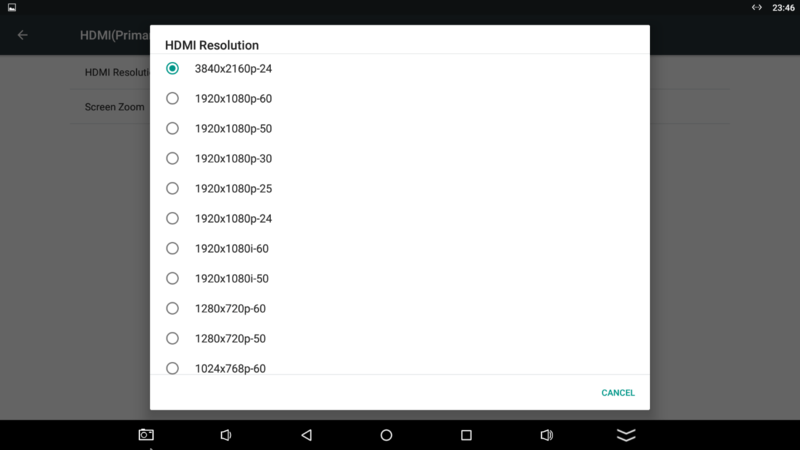 After a bit of searching, in android’s classic menu we were able to set the appropriate resolution (the device boots in 720p) but we were not able to find a digital out menu (more on that later). The rest of the settings are in the right place and setting up the Y8 according to your setup should be quick and easy. There is an OTA firmware upgrade option but we didn’t receive one during our tests. We want to make it clear from the start. Yundoo Y8 is fast and that is something that you can literally see from the first boot. 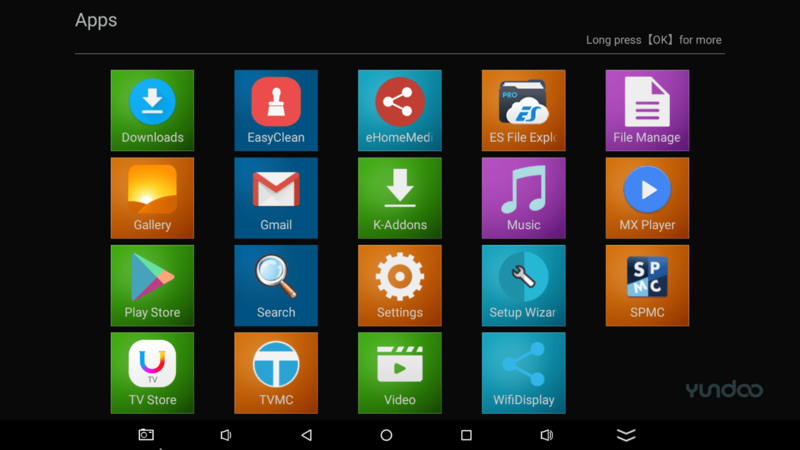 In less than ten seconds you are ready to browse through the main screens and launch any application you want. We have never seen anything similar before since it usually took more than thirty seconds to boot to the main screen. 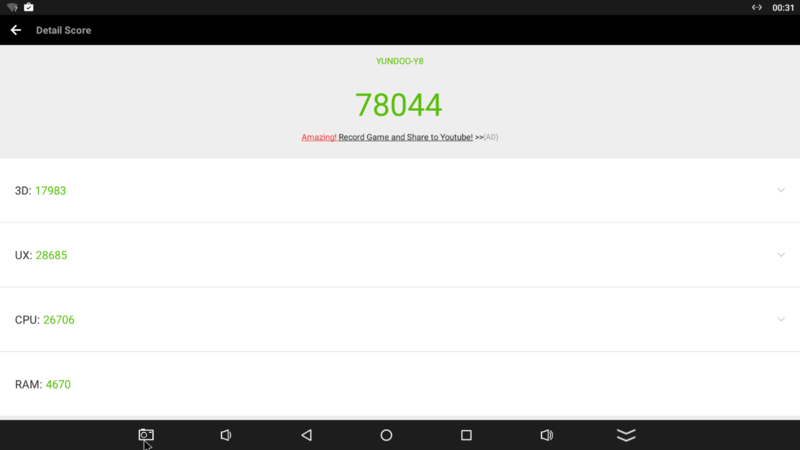 Yundoo is promising more than 75000 Antutu score points and our unit even topped that with a result of 78000 (and a 2540 Geekbench multi-core score). The CPU score especially is very high and the addition of 4GB of RAM results a blazing fast processing combination. Regarding video playback, it performed admirably. Both 4K and full HD video files had perfect playback (excluding some rare 4K encodings like 10bit, HECV @60fps and some more) and 24p motion was handled very well. Unfortunately no auto frame rate switching is supported. 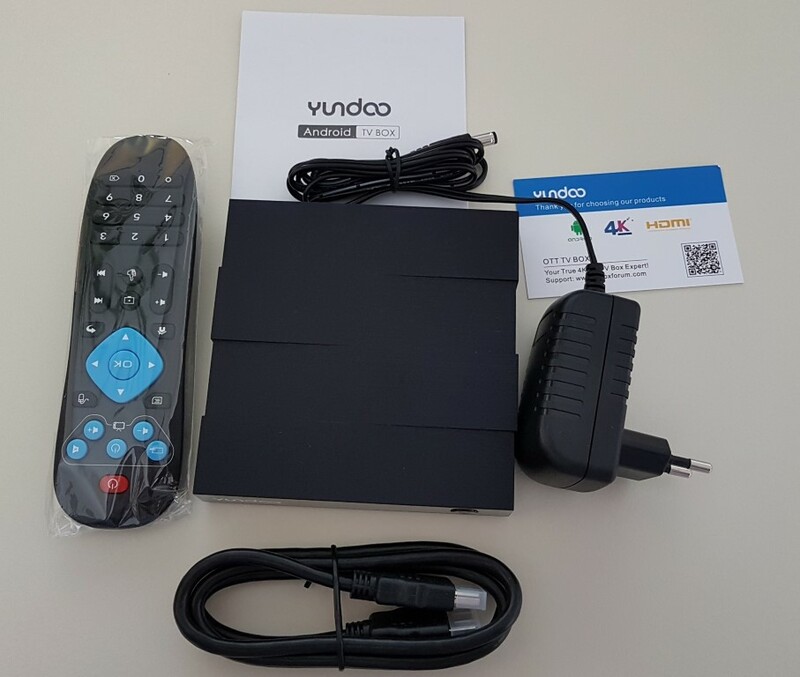 Regarding audio out, it seems that Yundoo released the Y8 model for direct connection to the TV. The absence of digital out settings resulted a stereo only PCM out. Down mixing has perfect though from all types of codecs (including HD Audio ones). We also installed FTMC (fork of KODI designed for Rockchip SoCs) but we still could not get anything more than stereo out. This of course will not affect the majority of users and may be fixed in a future update. Wi-Fi performance was stellar with perfect 1080p file playback, and via wired LAN we had perfect hiccup free playback of all high bit-rate movie backups. Gaming performance is also very good with decent frame rates even in the most demanding games. Overall, Yundoo Y8 is a very fast device. 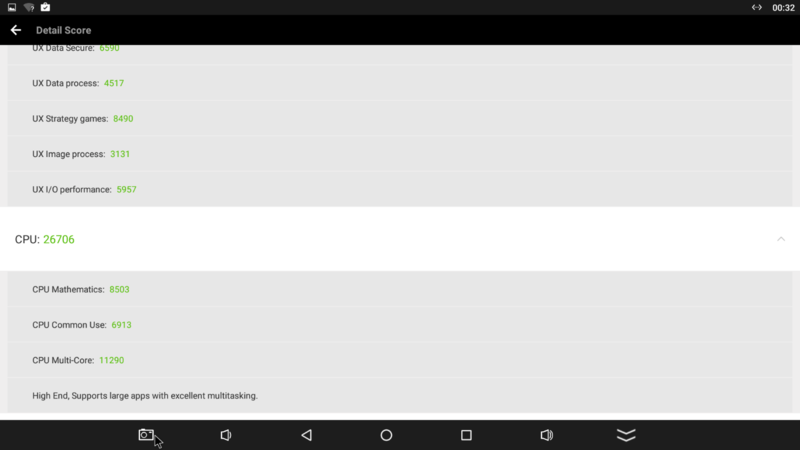 It seems that RK3399 has no match in processing speed and it shows (with the assistance of 4GB of RAM) in all tasks. 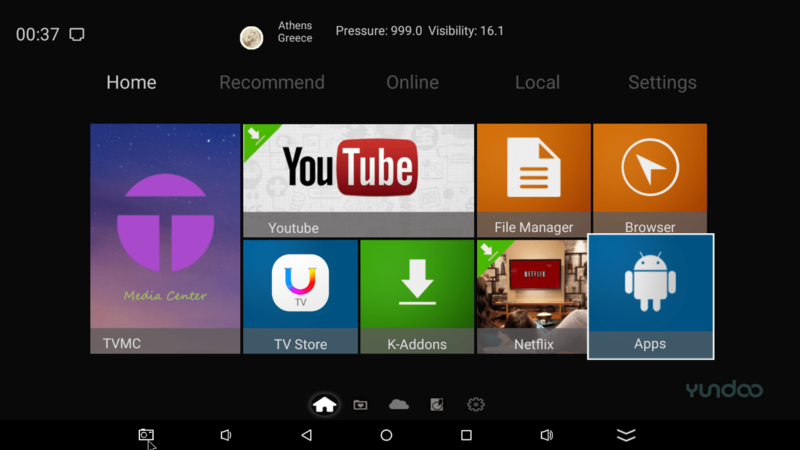 The Marshmallow version of Android is installed and you can install any application you want from the (installed) Play Store. 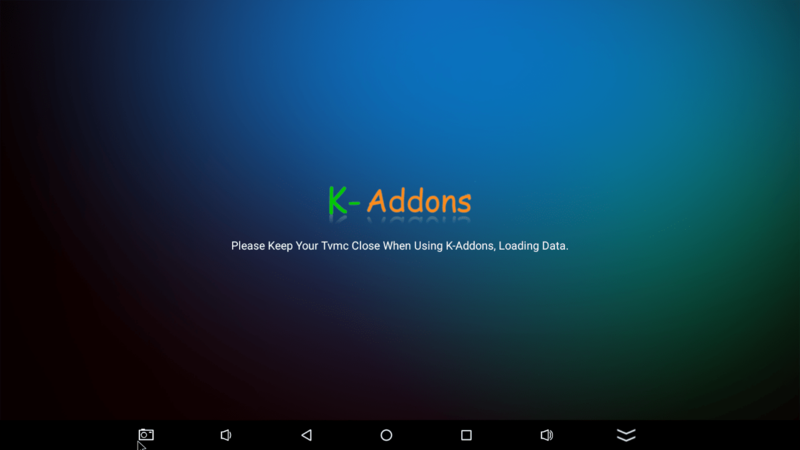 There are several other 3rd party applications installed (TV store, K-addons File manager, Easy clean) that will make your life easier. 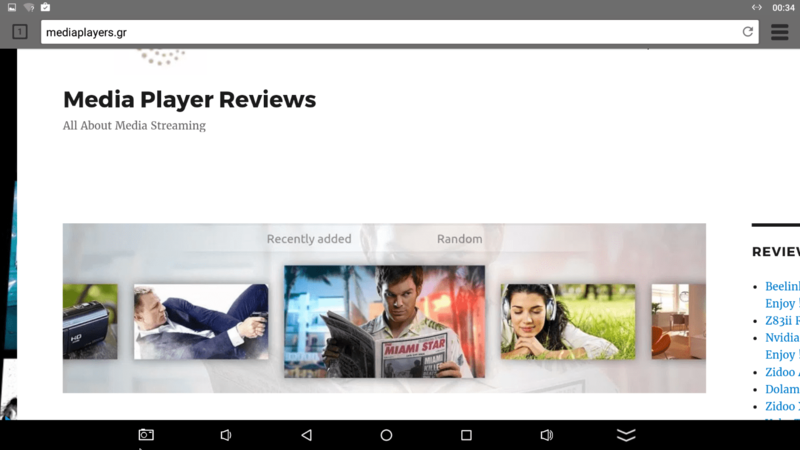 All Play Store apps had great performance with the exception of You-Tube that had laggy playback. This probably has to do with software optimization to take advantage of the new but powerful RK3399 and Mali-T860. 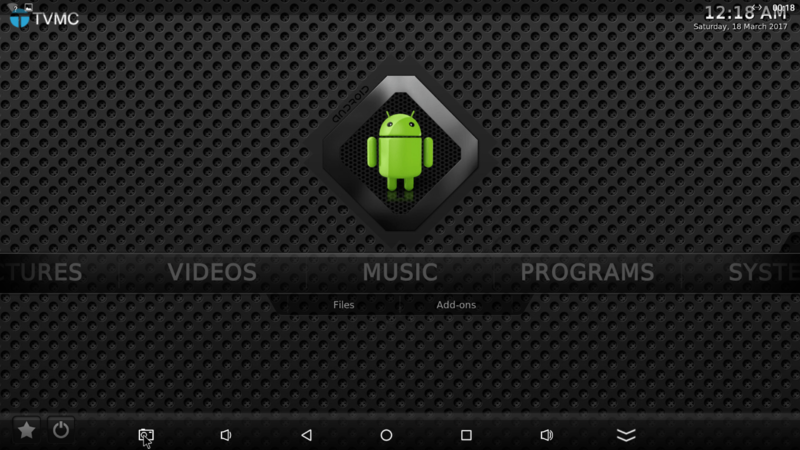 We should note that if you install You-Tube from FTMC, playback is quite good and acceptable. After the first boot, you will find ~25GB available to install apps and games. Yundoo Y8 is a power house. 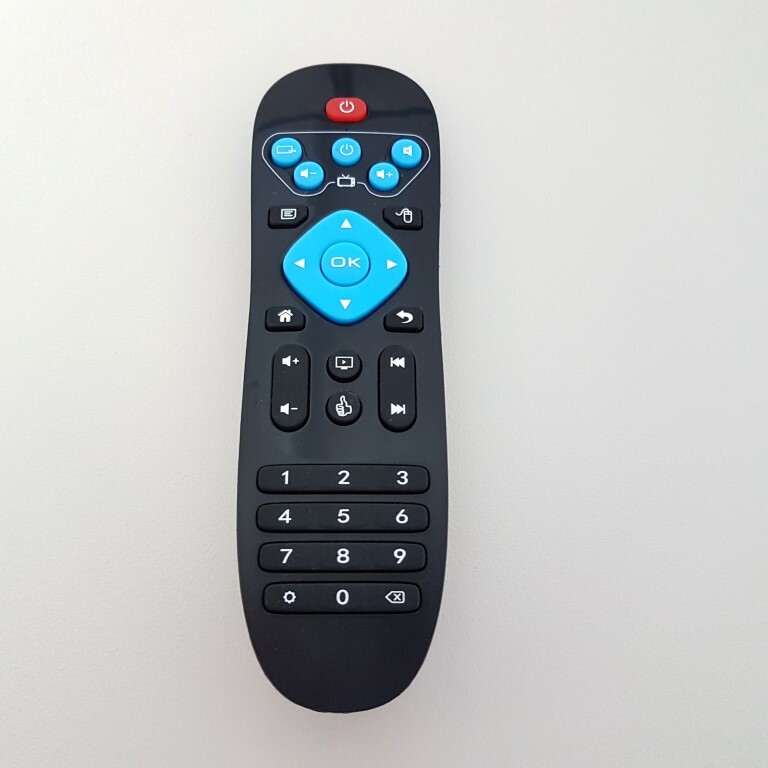 Although some optimizations are still needed (audio pass-through, You-Tube) it has great performance as it is, especially for users that intend to connect it directly to the TV set. Rockchip’s new SoC combined with 4GB of RAM provide excellent performance in all aspects that is easy to see in real life. Premium specs (RK3399, 4GB RAM, 32GB ROM,USB 3.0, USB-C) carry also a semi-premium price tag that is eventually justified if you appreciate top performance and almost zero lags. The 4GB version costs less than $144 and the 2GB version costs even less (~$110).